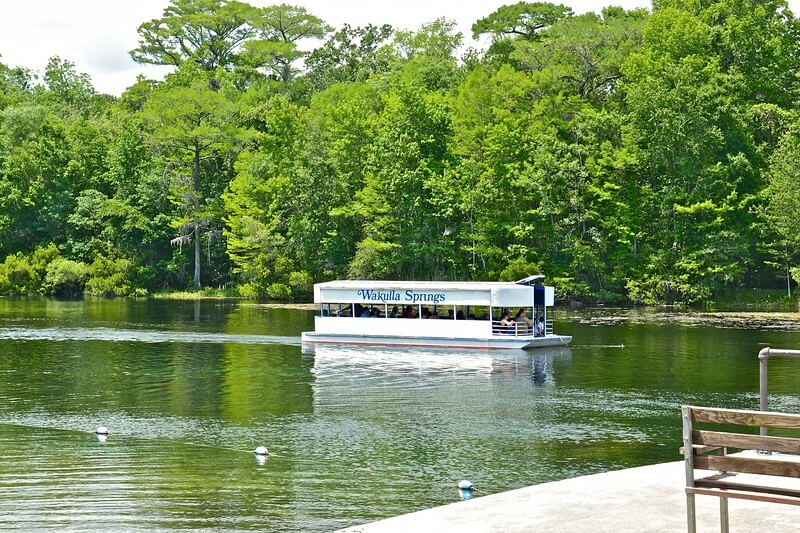 From Tallahassee you drive south on Hwy 61 for 15 miles to reach Wakulla Springs just a few miles north of the Gulf. Now a State Park, the spring is the largest and deepest in the world with a bottom of 185 feet deep. The twenty-seven room lodge that is still in operation was built in 1937 and the water is so clear that the park operates glass-bottom boat tours. This park truly provides what Old Florida is all about.